As we get deeper into winter, getting dressed to go outside becomes an ordeal. Not only do we have to worry about wearing enough layers to stay warm, we also have to deal with static electricity giving our garments a life of their own. If you’re hoping to tackle static cling head-on this season, it helps to first understand the science behind why it happens. TIME recently spoke with two experts, Rutgers University biomedical engineering professor Troy Shinbrot and George Mason University professor of earth sciences Robert Hazen, about why this sticky phenomenon becomes so pervasive once the temperatures drop. According to Shinbrot, the culprit is an excess of either positive or negative electrical charge. All atoms contain both positively charged protons and negatively charged electrons. When balanced in number, these charges cancel each other out; but when two objects make contact, electrons can come dislodged from their original atoms and jump to another, disrupting the object's “neutral” charge. The “cling” part comes in when these imbalanced atoms start sticking together. Opposites attract, atomically speaking, so when wool tights with too much positive charge are introduced to a dress with a neutral or negative charge, the protons in the tights will adhere to the electrons in the dress. Like charges, on the other hand, repel each other. If you get a bunch of positively charged atoms in one place the protons will push away from one another. This is why your hair sometimes acts like it wants to float off your head after you brush it. “Like people on a crowded beach who want to put space between themselves, they all stand up and spread out,” Hazen told TIME. But that still doesn’t answer the question of why static cling is at its worst in the winter. For that we’ll need to shift gears briefly from atomic physics to meteorology: According to WCCO Minneapolis meteorologist Chris Shaffer, cold air means dry air (anyone who’s gone through multiple bottles of hand cream in January can attest to this). In the summertime, water molecules in the air attract most surplus protons or electrons around you, so charges on your clothes or hair rarely stay imbalanced long enough for you to notice them. But when the air outside is cold and ill-equipped to retain moisture, these charges can quickly get out of control. That doesn’t mean you’re forced to live with static cling until spring rolls around. 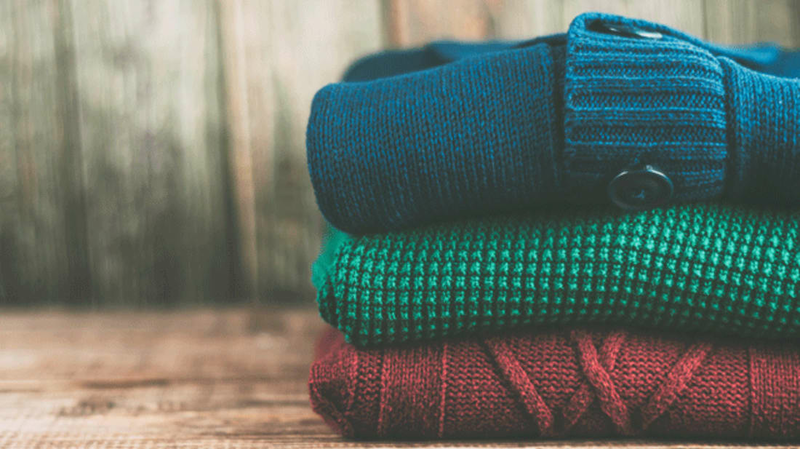 There are ways to take the seasonal annoyance into your own hands: When getting dressed in the morning, keep a spray bottle filled with water and a tablespoon of fabric softener nearby. A spritz or two should be enough to tame sticky fabrics when the air is dry. For static that disrupts your 'do, a little hair spray will work to the same effect. And it's important not to underestimate the power of dryer sheets. The positively charged material combats the negative charges that build up as your clothes dry, and they can even be used outside the laundry room to wipe down unruly hair.